New warning labels on anti-inflammatory drugs highlight this risks associated with these drugs. Anti-inflammatory drugs are among the most well-loved products in the modern medicine cabinet. They can provide good pain control, reduce inflammation, and eliminate fever. We give non-steroidal anti-inflammatory drugs (NSAIDs) in infancy, continuing through childhood and then adulthood for the aches and pains of modern living. It’s the later stages of life where NSAIDs are used most frequently, usually in the treatment of joint disease like osteoarthritis, which eventually affects pretty much everyone. Over 17 million Americans use NSAIDs on a daily basis, and this number will grow as the population ages. While they’re widely used, they also have a long list of side effects. Not only can they cause stomach ulcers and bleeding by damaging the lining of the gastrointestinal tract, the cardiovascular risks are real and significant. One anti-inflammatory is not like the other. A closer look at the risks. If science-based medicine reflects the application of the best evidence, then we should expect practices to change when new data emerges. In the long run that’s generally true, and the progressive gains we’ve seen in the management of disease reflect this. But in the short run, change can be maddeningly slow, and there are many areas of medicine where we could be doing a better job of applying what we already know to improve outcomes and reduce harms. One area where this is obvious is drug treatments, which can provide remarkable benefits but are also sources of significant harms. Somewhat problematically, the real world is often the setting where the full extent of harms from treatments are identified. Bringing new drugs to market means tradeoffs: Do you demand larger and longer clinical trials to get as much information as possible about a drug before it’s sold? Or do you approve based on more preliminary, potentially weaker evidence, to meet (potentially) important patient need? There is no set formula or right answer to this questions – it’s ultimately a value judgement exercised by regulators like the FDA, who decide which drugs are allowed for sale (the benefits are assumed, overall, to exceed the harms) or removed for sale (when the opposite is felt to be the case). I have a mental basket of drugs that I suspect may be placebos. In that basket were the topical versions of non-steroidal anti-inflammatory drugs (NSAIDs). 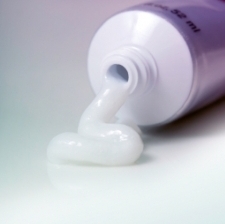 When the first products were commercially marketed over a decade ago, I found the clinical evidence unconvincing, and I suspected that the modestly positive effects were probably due to simply rubbing the affected area, or possibly due to the effects of the cream or vehicle itself. Frankly, I didn’t think these products worked. So when I recently noticed a topical NSAID appear for sale as an over-the-counter treatment for muscle aches and pains (seemingly only in Canada, for now), I was confident it would make a good case study in bad science. It’s not that I’m partial to the oral NSAIDs. Yes, they’re among the most versatile, and probably most well-loved drugs in our modern medicine cabinet. They offer good pain control, reduce inflammation and can eliminate fever. We start using it in our sick and feverish infants, through childhood and adulthood for the aches and pains of modern life, and into our later years for the treatment of degenerative disease like osteoarthritis, which affects pretty much everyone as we age. An astonishing 17 million Americans use NSAIDs on a daily basis, and this number is expected to grow as the population ages. In the running groups I frequent, ibuprofen has the affectionate nickname “Vitamin I”, where it’s perceived as an essential ingredient for dealing with the consequences of training. But NSAIDs have a long list of side effects. Not only do they cause stomach ulcers and bleeding by damaging the gastrointestinal mucosa, there are heart risks, too. It was the arrival (and departure) of the drugs Bextra and Vioxx that led to documentation of the potential for cardiovascular toxicity. And now there’s data to suggest that these effects are not limited to the “COX-2” drugs – almost all NSAIDs, including the old standbys we have used for years, seem capable of raising the risks of heart attacks and strokes.